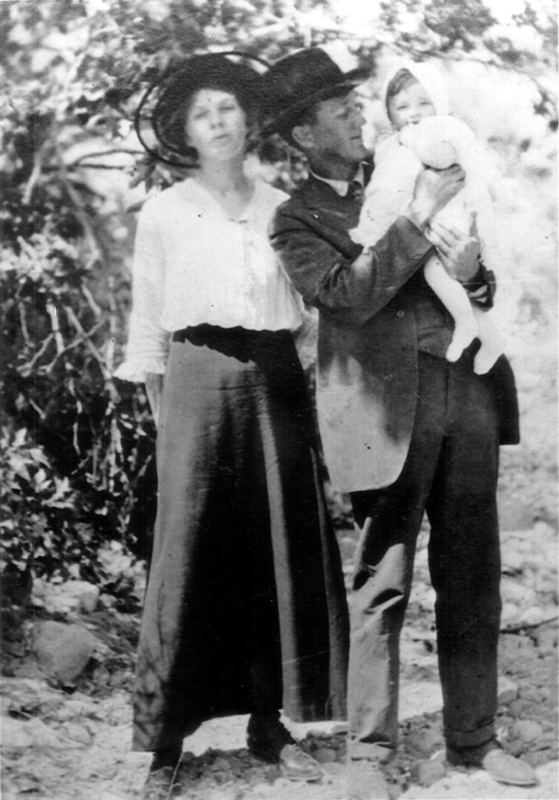 Claude and Alma Lewis with their first child, Elizabeth. Circa 1916, about the time they started homesteading near Mint Canyon. Claude Lewis was a builder and contractor. Alma was a former teacher. KU1601: 9600 dpi jpeg from copy print.